The one thing that's very interesting about IRAMs is their history of use by Iranian backed groups in the region, in particularly Iraq, where they were used by Iranian backed groups to defeat the anti-mortar systems used at American bases (more details of which you can read here). 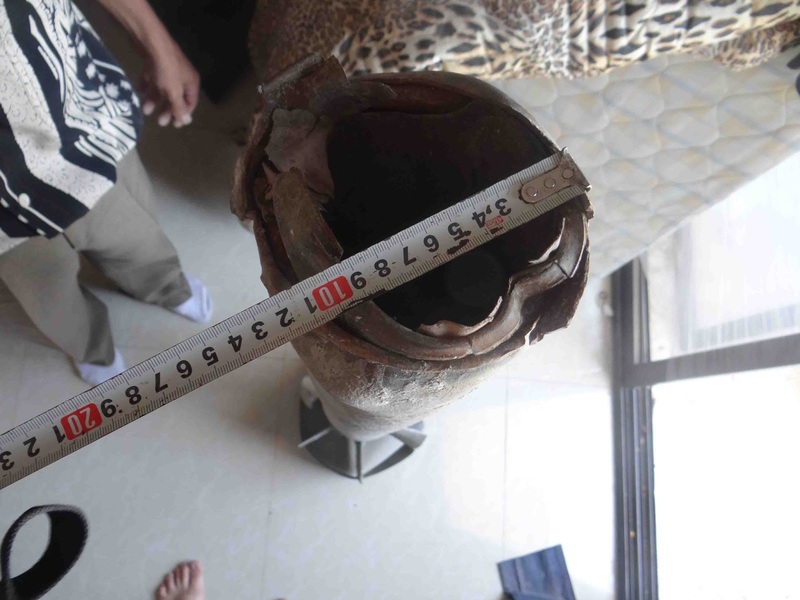 This matches to an example of the explosive variant of this munition that was recovered in Homs. Local fighters in Homs claimed these were used widely, and caused massive amounts of damage. Yet in the Homs video and the new video the numbers on the rocket are written in black. This may indicate a coloured numbering system used to identify the payload of the munition. In both these pictures we see only one hole, possibly a fill hole. This appears to show there's certain consistencies between the two variants of the munitions. 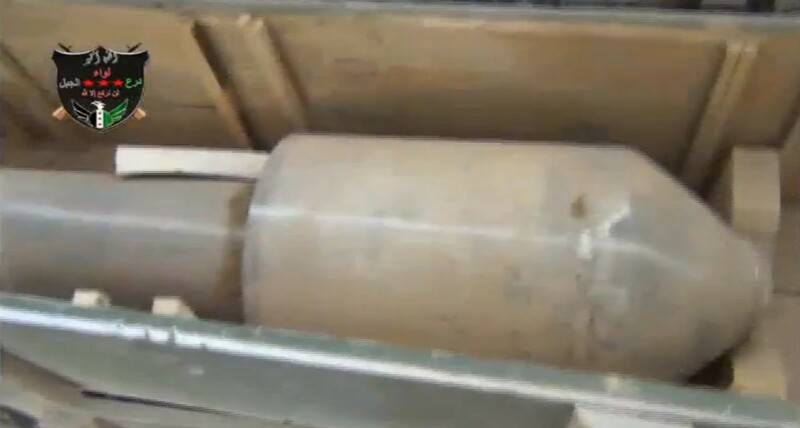 I've now been sent photographs showing the munition linked to the chemical attack that has shown the tail fins are around 320mm wide, which would mean they'd fit with the theory these are munitions manufactured locally, or by an ally of Syria, designed to fit the Iranian Falaq-2 rocket launcher. 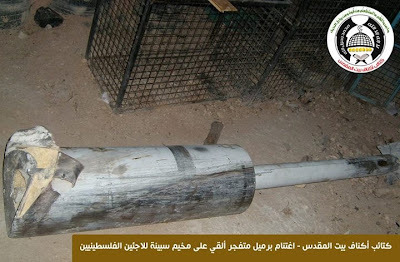 I also suspect the munitions have different length rockets, with the heavier high explosive munition having a longer tail section, something I hope to confirm when I have more details of the munition. 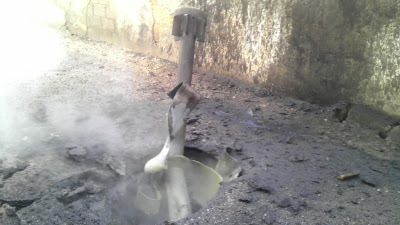 For more information relating to the recent alleged chemical weapon attacks in Damascus, go here. Thanks to Aymenn Jawad Al-Tamimi for translations. and additional information. I've just been sent a series of high resolution photographs showing the munition linked to the alleged chemical attacks in Damascus. These images are the first ones where measurements have been taken, and all can be freely used by anyone, be they newspapers, TV stations, bloggers, or government agencies. These images and more can be found here. If you have any pieces of the munition you'd like photographed and measured please let me know, and I'll try to arrange it. One interesting thing to note it the tail fin is the right width to fit the Iranian 333mm Falaq-2 rocket launcher, which would match which what Nic Jenzen-Jones discussed on his blog yesterday. 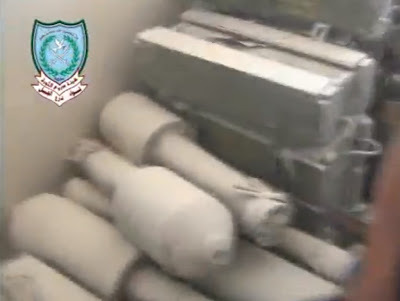 For more details on these munitions head to Collected Media Of Munitions Linked To Alleged Chemical Attacks In Syria. Red berets are worn by members of the Syrian Republican Guard, also known as the Presidential Guard, as well as the military police. 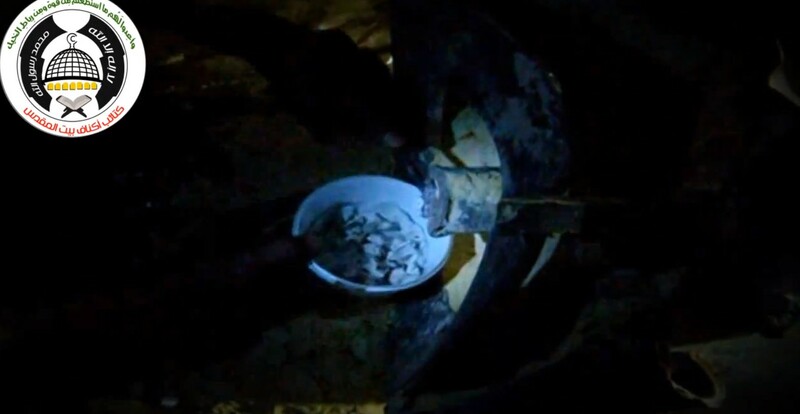 Just to clarify, as it's confused some people, the August 21st CW attack was at night, but this video shows the munition being used by the government forces, something it has used several times before (see here), so while it might not be the CW attack, it shows the government using them. 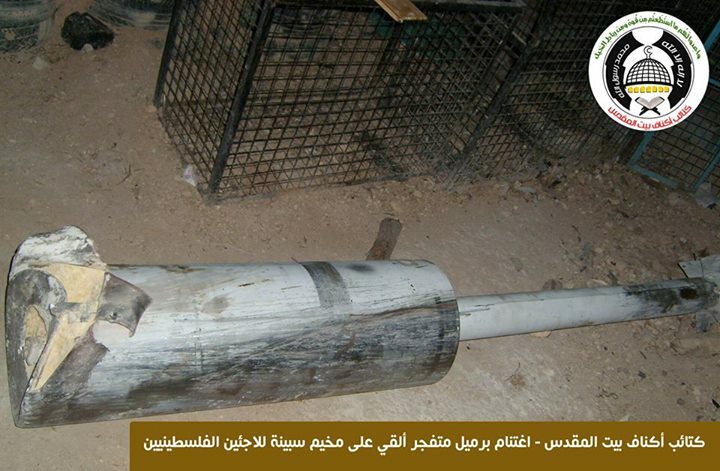 I also believe there's a high explosive version of this munition as well, as seen in Homs. 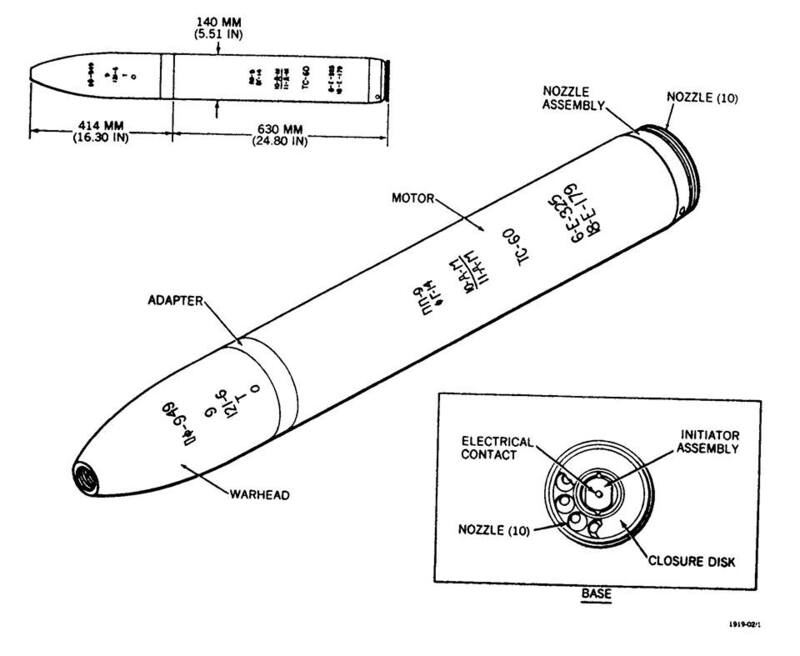 Nic Jenzen-Jones has more information on this munition on his blog. 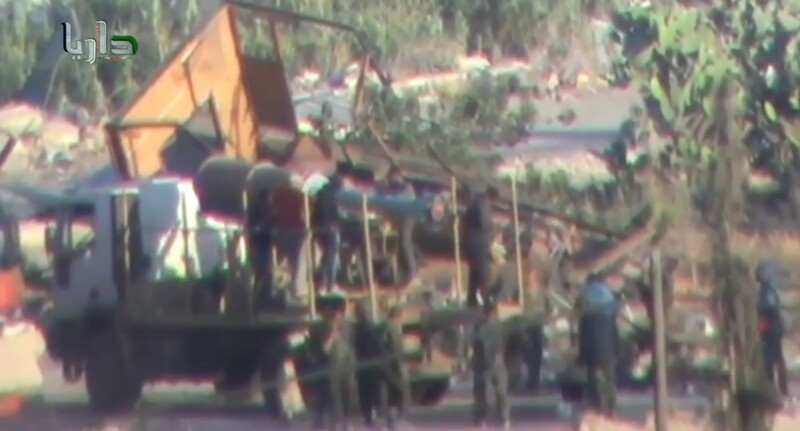 Update I've just been contacted by the activists who filmed this, who said "This is fired from the areas to the east and north east of Al-Mezzeh Airport around Daraya." 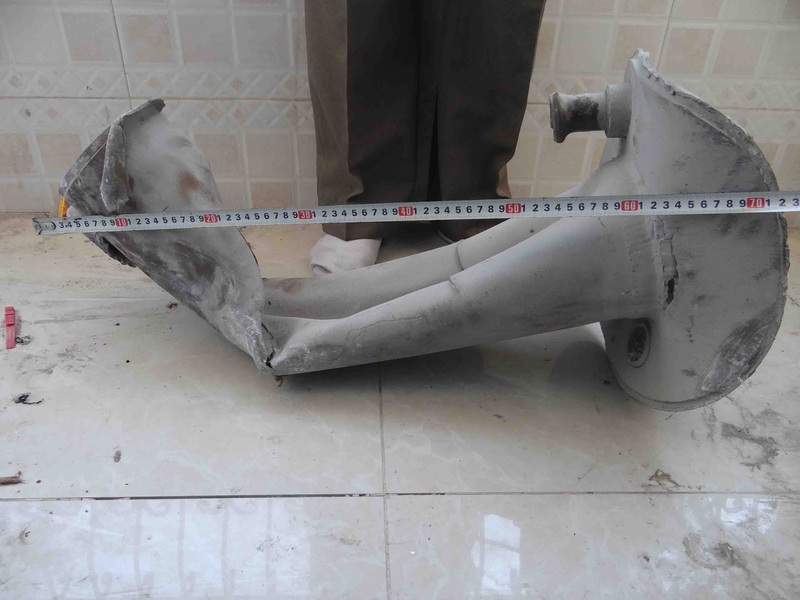 Update Nic Jenzen-Jones highlights on his excellent blog post on these munitions a photograph from November showing a launcher he identifies as an Iranian Falaq-2 loaded with what could be the same munition. 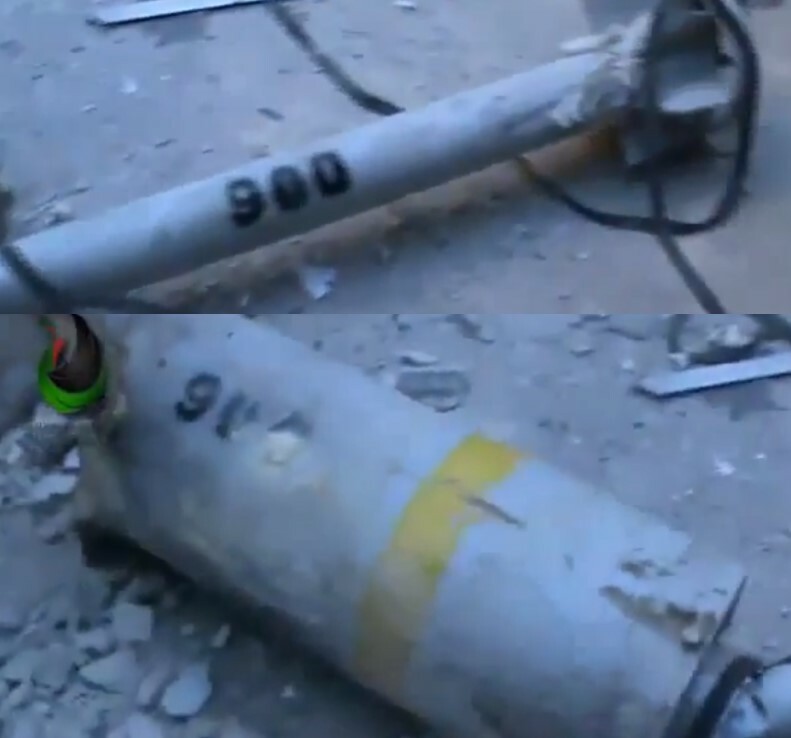 The earliest video of this type of munition is from January 2013. 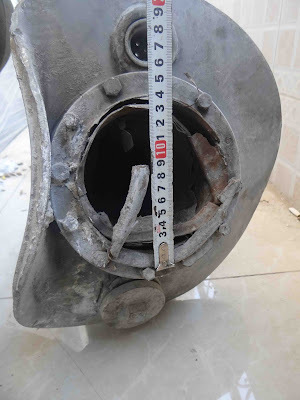 Were The UN Inspectors Examining A Chemical Weapon In Medmah Al Sham? 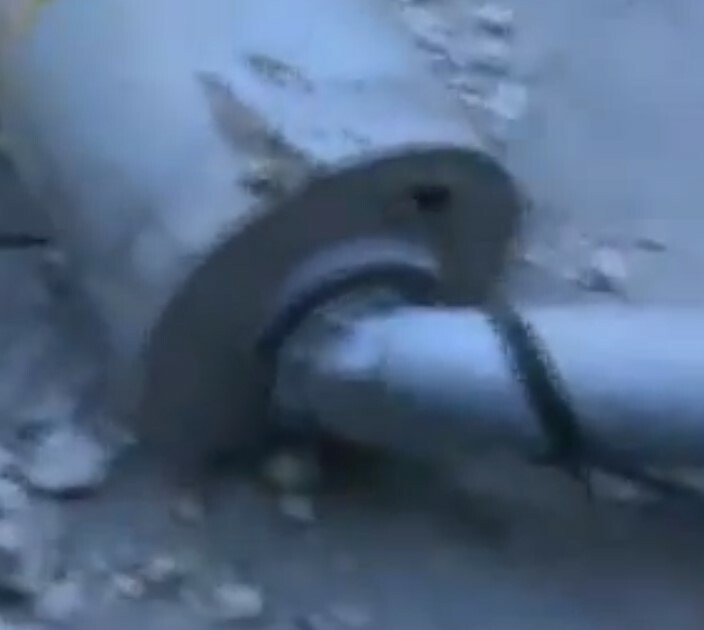 Are These The Munitions Used In Today's Alleged Chemical Weapon Attack? The first thing that stands out are the nozzles, which indicates this is a type of artillery rocket. 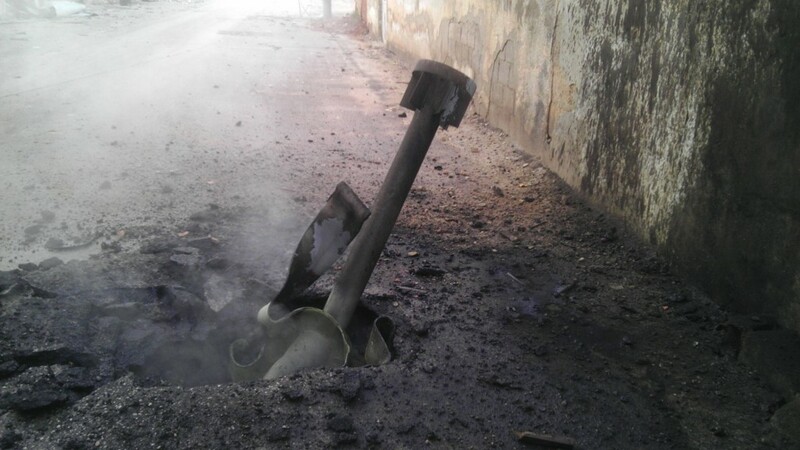 Artillery rockets are used widely in the conflict, but what makes this stand out is the number of nozzles. 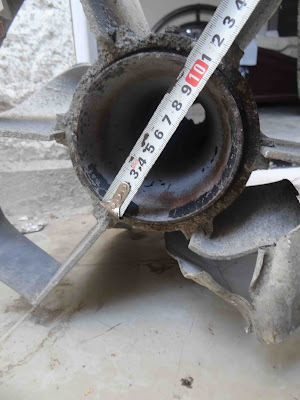 The 107mm rockets used widely in the conflict, launched from Type-63 multiple rocket launches by both sides in the conflict, have less holes than the ten we are seeing here. 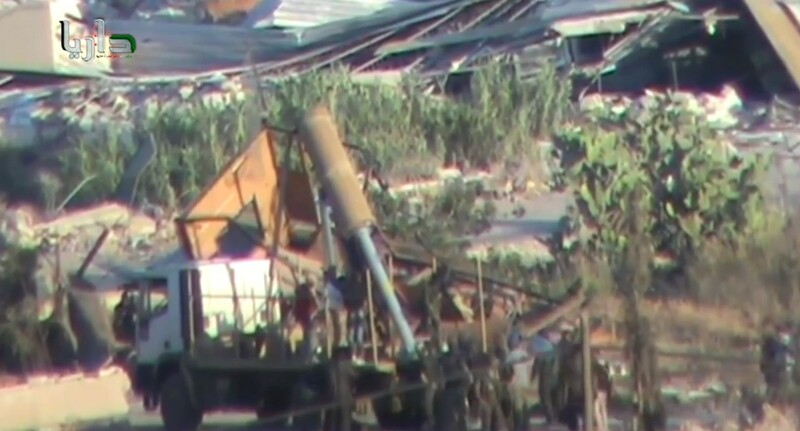 There wasn't really much to go on until the team at Allen Vanguard (Twitter) suggested I take a look at the Soviet 140mm M14 Artillery Rocket, fired by BM-14,16, and 17 multiple rocket launcher. Of course, the one way to be sure is to have the exact measurements of the rocket in the video. 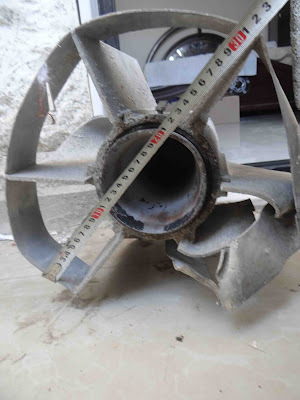 We can see from the diagram the section in the video should be 140mm wide, and around 630mm long, but how can we possibly find that out? Fortunately, one of the UN inspectors had the same idea, and was filmed measuring it. It's not pretty, but you can see, accounting for the slight tilt of the camera, that it's around 630mm long. 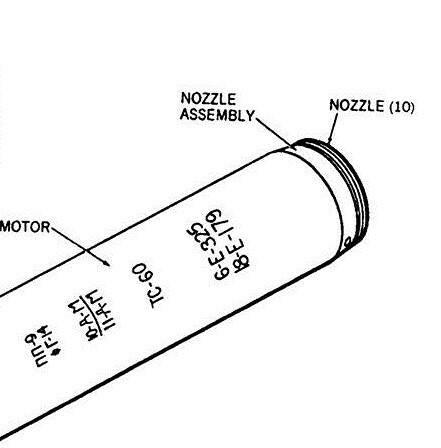 All of this would make this a very strong contender for it being the 140mm M14 Artillery Rocket, and what's very interesting about that is one of it's possible warheads is a chemical warhead loaded with 2.2kg of sarin. 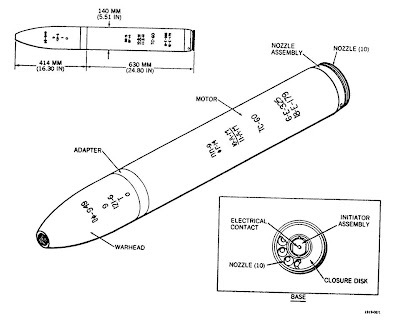 This is dispersed on impact, with a burster charge detonating to disperse the agent, which would leave the rest of the rocket intact, unlike a high explosive warhead that would serious damage the rocket on impact. 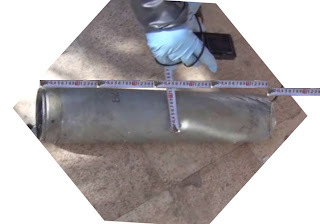 Of course, without testing on the ground it's impossible to be sure this is the type that carries a chemical warhead, but fortunately, that's what the UN are there for. 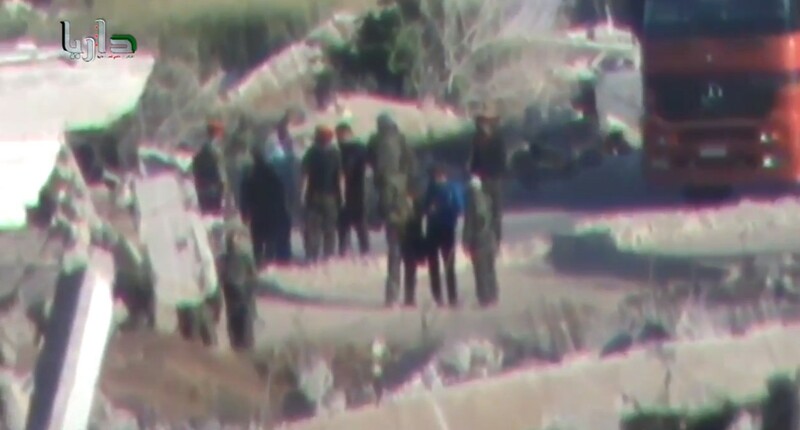 Since yesterday, there's been a number of reports of the opposition capturing government positions in the town of Khanasser, near Aleppo, a key supply route for government forces in the region. 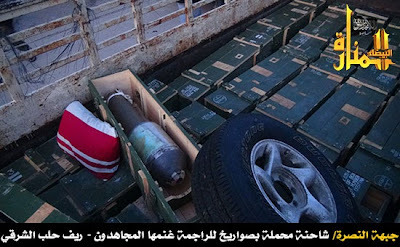 This isn't the first time they've been seen in the conflict, with a dozen sightings of these munitions going back to the October 2012. It's always been claimed by the opposition that these are being used by government forces, and many people have doubted the use of DIY weapons by government forces, but this seems to prove, that along with DIY barrel bombs, the Syrian government's forces have been deploying DIY weapons. 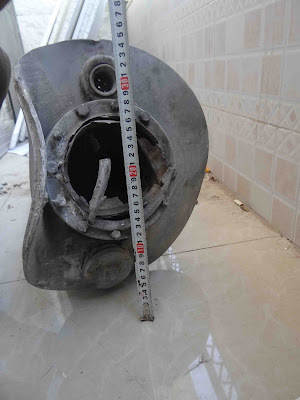 The New York Times' At War blog examined these in detail back in October 2012, talking about the munitions with specialist John Ismay, who details their use by Shiite militias in Iraq, in particular the Iranian linked Kataib Hezbollah. 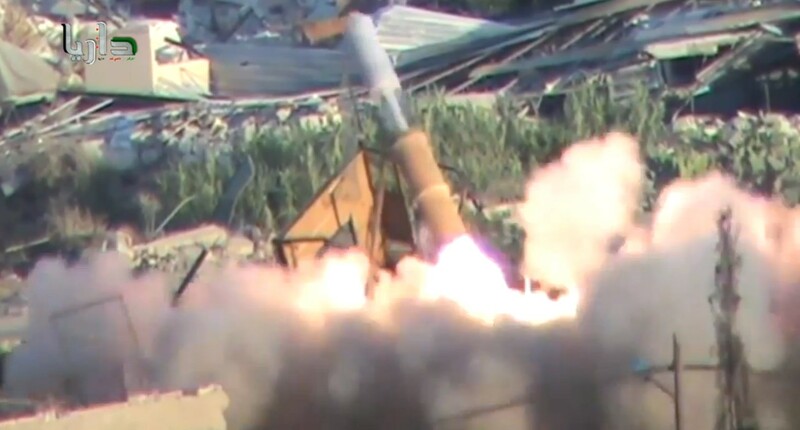 It should be noted that the IRAMs seen in Syria appear to use a mix of Chinese and Iranian 107mm rocket motors. Now I had the task of confirming the exact location. 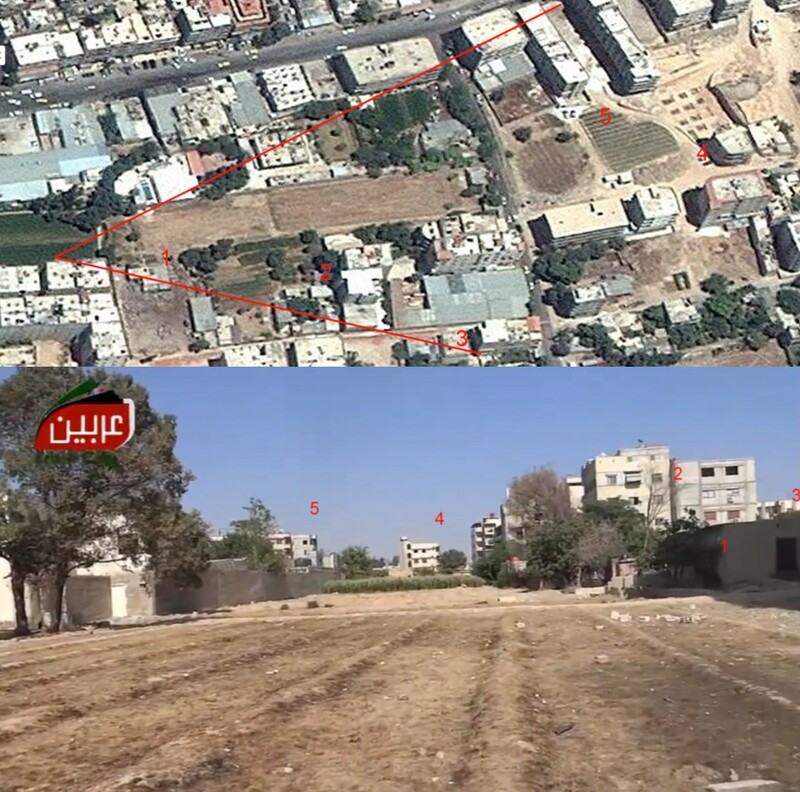 Using photos and videos of the munition I found, I began to compare images of the location to what could be seen in the map. The quality of the satellite imagery wasn't too great, but it did give an idea of the location and size of various structures, and I managed to find 5 images from the videos and photos that I matched to the area. 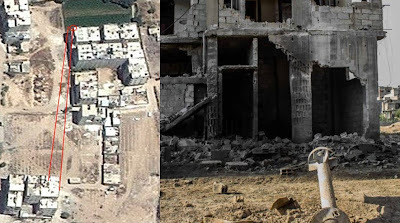 In the below images I've used photographs or video stills to mark the field of view onto the satellite map imagery. I've then numbered each point in the map and photograph/still that's a match, and explained it in more detail below. Click the image to see it full sized. 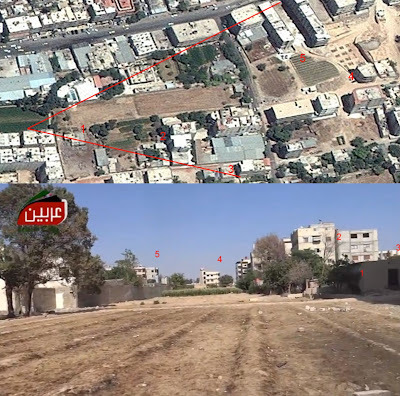 This photograph shows the area to the north of the rocket, which is position near the northwest corner of the large apartment building to the south of it's impact location. At point 1 we can see the southwest corner of the building that's just north of the field. From the satellite view this building appears to be only one or two storeys tall. At point 2 we can see a multi-storey building, and can even just make out the rows of windows on the satellite image. To the right of that building is a green area with a single or two storey building, not visible in the photograph because of the angle of the shot. This photograph shows the northwest corner of the apartment building south of the field, including the buildings in the distance to the south. Comparing this to the satellite view confirms there's no structures between the corner and the buildings in the southwest. This photograph shows the view to the north, taken from the middle of the field, east of the impact site. At point 1 we can see the structure that protrudes from the one or two storey building just north of the field. This partly blocks the view of the buildings behind it, but at point 2 we can see the multistory building behind it. You can even make out the pattern of windows on the buildings, with the balcony on the southwest of the building visible on the satellite map, then the four windows, the black area before the next building, and then the next building to it's right. Between point 2 and 3 there's a road, and a single or two storey building, resulting in a gap. At point 3 there's the same building shown in Image 1. This image is showing the view from the east side of the field. 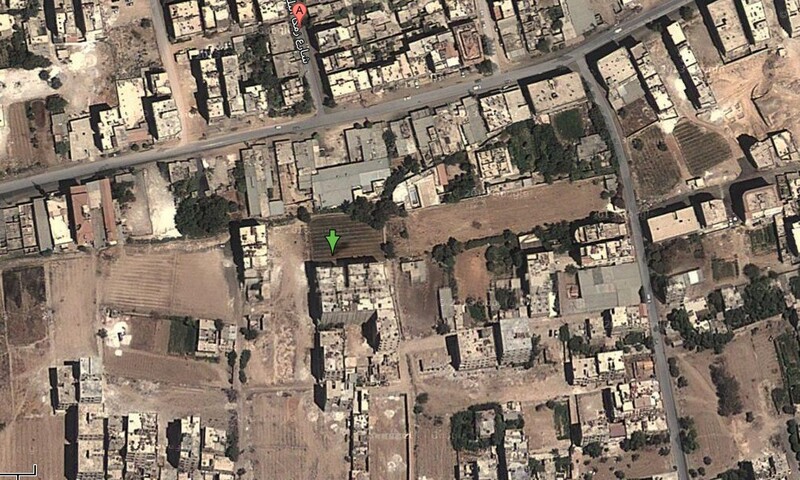 At point 1 we can see a small shed-like structure near to the apartment buildings south of the field. Behind that structure, at point 2, we see a pair of multi-storey buildings, behind which, at point 3, is another multi-storey building. Point 4 shows a distant building, and to the north of that, at point 5 we can see the southern edges of two large multistory buildings. Much of the view to the left hand side of the image is obscured by trees visible in the satellite image. 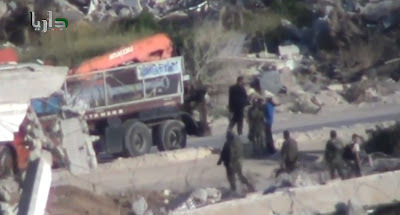 Here the camera is position to the east of the munition, facing southwest. At point 1 we can see the multi-storey building that's taller than the building next to it, marked as point 2. Behind those two buildings, to the southwest, is a smaller structure, marked at point 3. 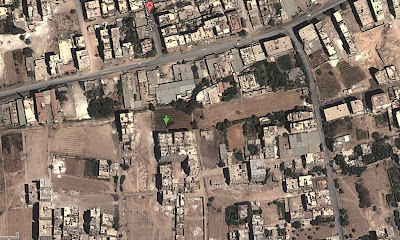 At point 4 we see the corner of an apartment building, the alignment of which matches both on the satellite map and in the image. 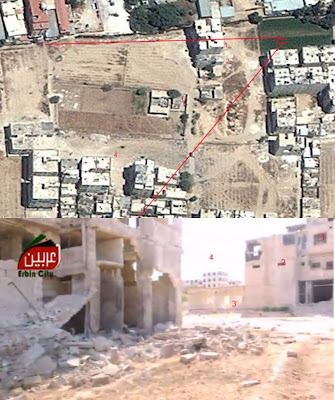 Individually, none of the images would be strong enough evidence to confirm the location of the munition, but having examined 5 images that appears to match the satellite map, without any noticeable differences from what we'd expect to see from those positions based off satellite map data, it seems like this location is a very strong match. 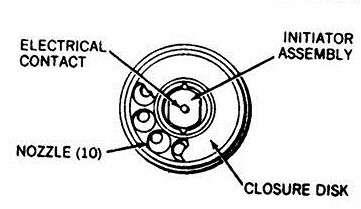 The munition itself appears to have buckled over on impact, which seems reasonable as the center section of the remaining warhead is a hollow metal tube. 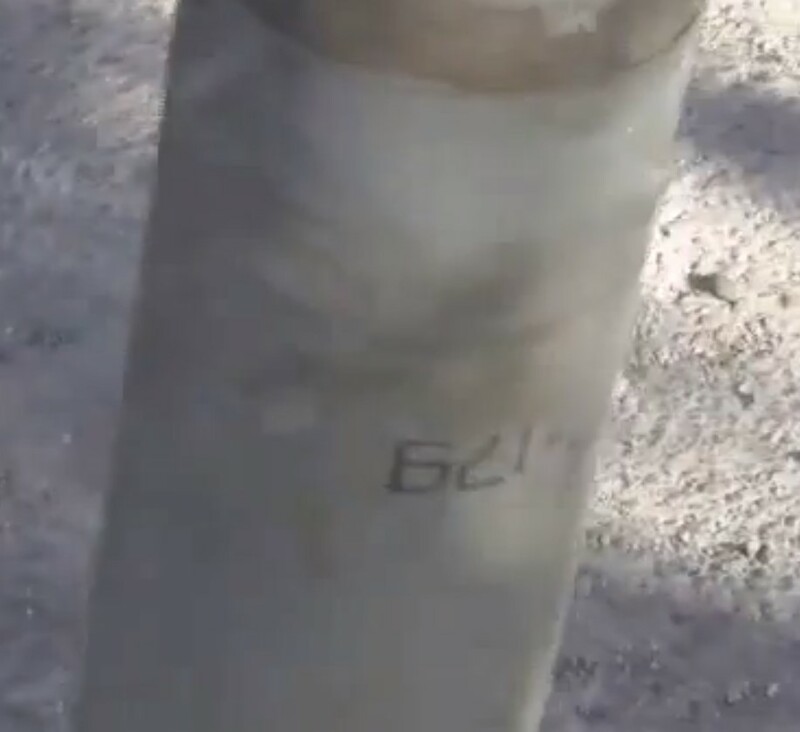 This would seem to strongly indicate the munition was fired from the north, where 6-8km away you'll find a number of military installations, connected by a 2km road to the 155th Brigade missile base. 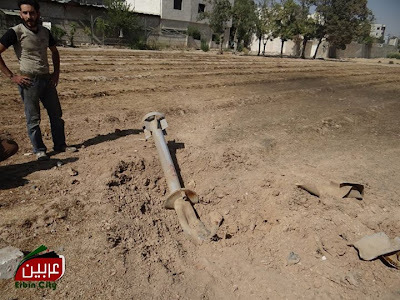 In one version of events, the Syrian National Coalition has claimed the rockets were launched from bases housing the 155th Brigade. 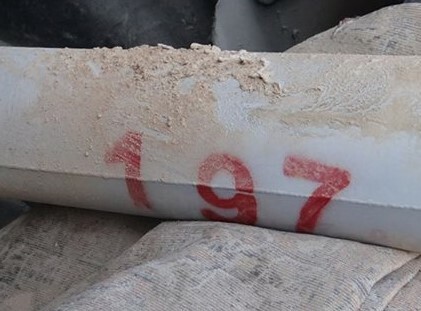 Since the alleged chemical attack on August 21st, there's been a debate over who was responsible. Initial claims made on the internet that Youtube videos showing the attack had been uploaded on the previous day, repeated by the Russian foreign ministry and on Russia Today were easily explained when properly investigated (see here on Storyful's Open Newsroom and The New York Times' The Lede). 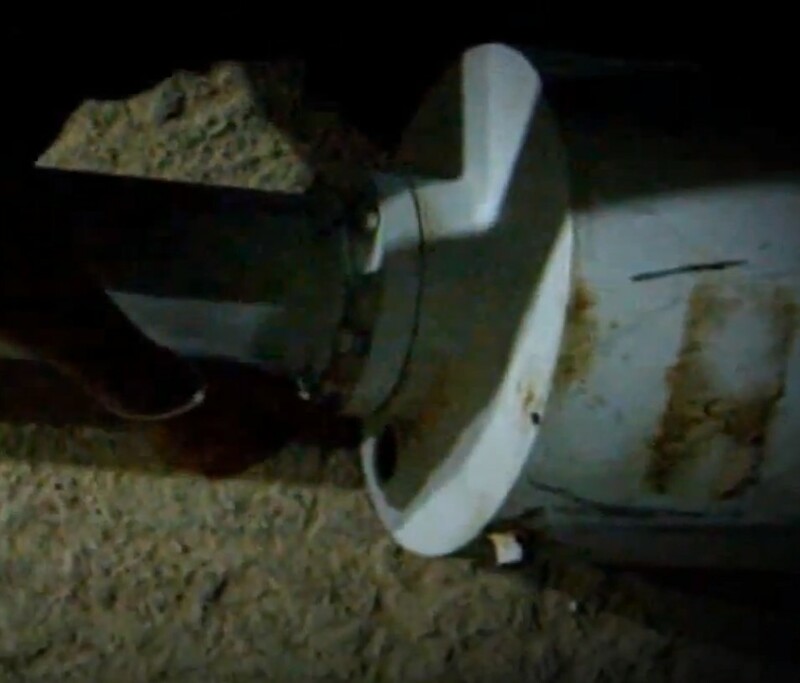 The video opens with a claim that the first images of the Hell Cannon appeared after the alleged chemical attack in Khan al-Assal on March 19th, something that might actually be significant if the images appeared before the attack. It then shows a video of one of the cannons being loaded with it's rather unique munition, which uses a gas cylinder as a warhead. I'm assuming the use of the gas cylinder is the only (rather weak) piece of evidence that this is a chemical weapon, especially when the only times this munition has been pictured being loaded it with a fill that's fertilizer based explosive, as seen in this promotional video for the Hell Cannon. Specifications: It can fire more than fifteen types of shells that weigh more than forty kilograms. It also has two locally-made rocket launchers (Rohingya). 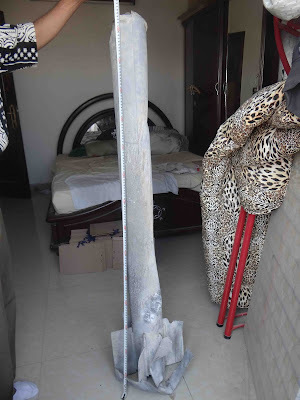 Effectiveness: Up to 200 square meters. 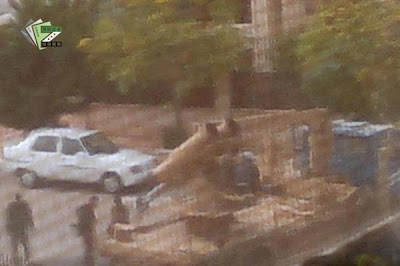 Cost of the shell: 15000 Syrian Pounds. 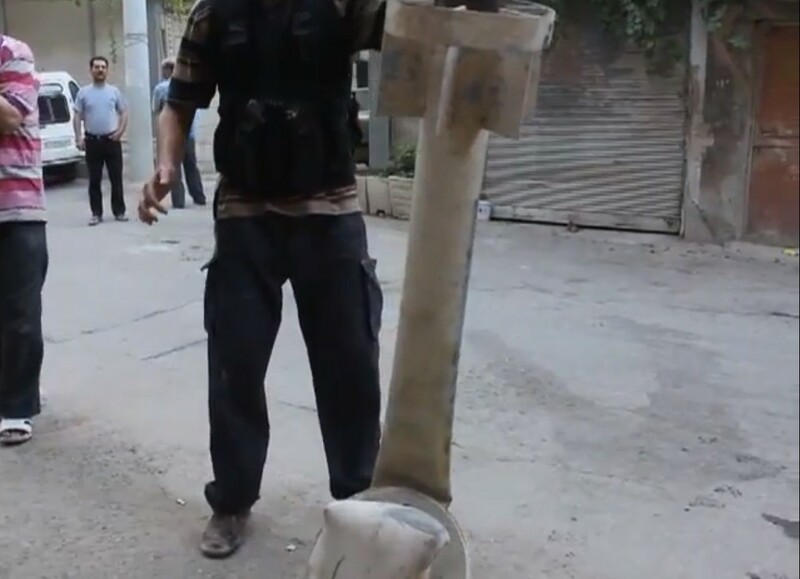 The tail alone is nearly as tall as the man holding it, so unless he's a midget, the munition is much longer than the Hell Cannon munition. 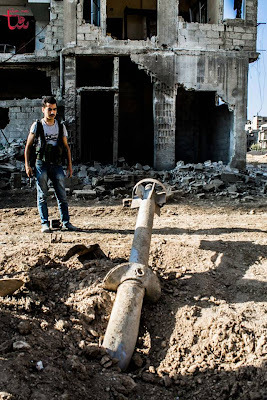 It's also worth noting the Hell Cannon has been used widely since it's invention, with no reports of chemical attacks on government controlled areas reported despite this widespread use. 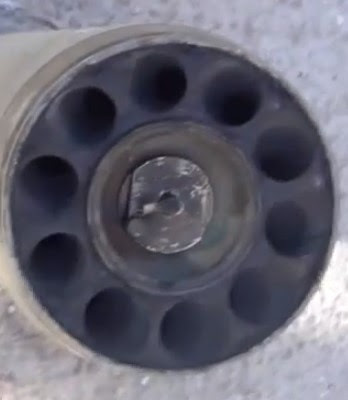 More videos of the Hell Cannon can be found here. 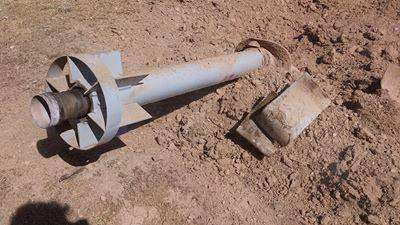 It's apparent attempts to link the Hell Cannon munition to this week's attack really holds no water at all, but I am always open to anyone who can provide evidence that these munitions were actually used in the attack. So far, however, no evidence exists. Speaking of evidence, I've put together this playlist showing all the videos featuring the munition linked to alleged chemical attacks in Syria, and images of the munition can be found on this gallery and ITV News report. 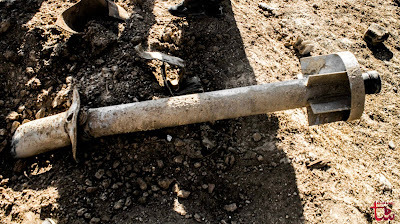 Arms expert Nic Jenzen-Jones also has put together his thoughts on the evidence gathered so far on his blog, and that's well worth a read. Yesterday, I wrote about a munition which local activist groups in Damascus claimed was linked with the alleged chemical attack that took place in Adra. None of the remains of these munitions featured in the above three videos match each other, nor do they match the remains of munitions in other videos and photographs. It's also interesting to note that one of the video shows a unidentified black substances splattered on the munition, which was seen in photographs and videos of other examples of these munitions. 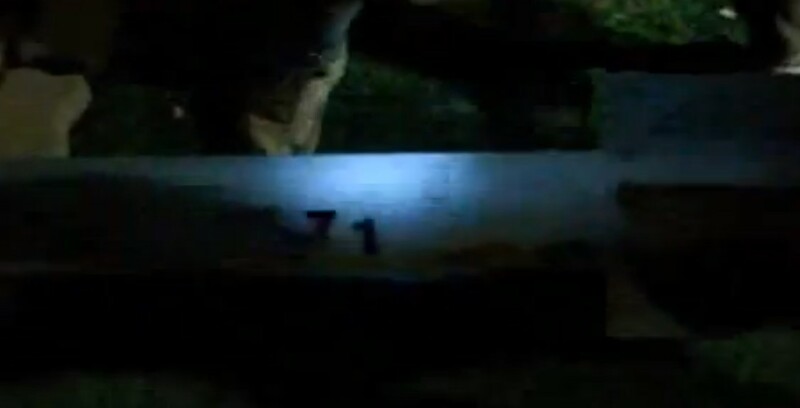 The question still remains of what these could be? In all cases these are munitions that the opposition has claimed the government has used, even before they were linked to chemical attacks, and they don't match any known munition used elsewhere in the world. What their payload is, and how they are launched remains a mystery, but there's more and more images of these in relation to chemical attacks, and it seems they might be key to understanding some of the alleged chemical attacks in Syria. 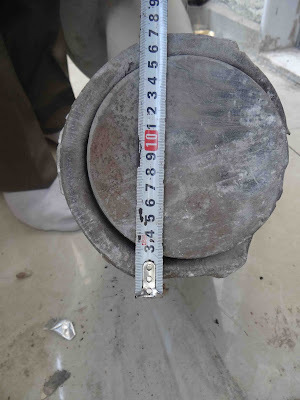 Adra, northeast of Damascus, on June 11th, described as a "chemical missile"
It's interesting to note that the example from Homs appears to have an explosive fill, that would have likely destroyed much of the munition if it had detonated, while the other examples appear to have used up their payload without any damage to the munition, perhaps implying there's multiple payloads. The obvious question are what are these munitions? There's clear evidence that these have been linked to previous chemical attacks in Syria, but also that there are explosive versions of these munitions being used in the Syrian conflict. 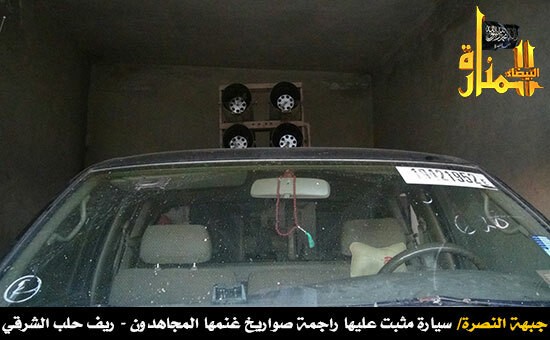 The question is what other open source information can lead us to discover the true identity of these munitions. Update August 22nd More information on these munitions can be found here.